The Pakistan Army has expressed reservations over the contents of former DG ISI Asad Durrani’s recently launched book. 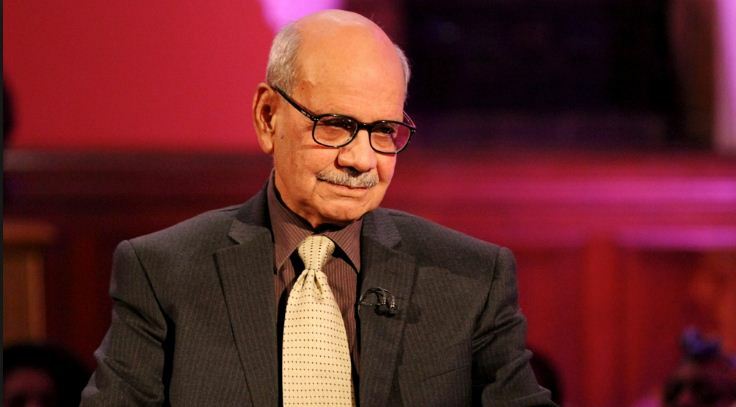 According to sources, Lt Gen Asad Durrani has been summoned to GHQ on May 28 for explaining his position on his book. The sources said Gen (retired) Durrani will have to explain his position over the violation of military code of conduct. “Nobody is above the law,” the sources said. Major General Asif Ghafoor, the chief of ISPR, has also confirmed the development. Lt Gen Asad Durrani, Retired being called in GHQ on 28th May 18. Will be asked to explain his position on views attributed to him in book ‘Spy Chronicles’. Attribution taken as violation of Military Code of Conduct applicable on all serving and retired military personnel. He said the attribution has been taken as violation of Military Code of Conduct that is applicable on all serving and retired military personnel. The book ‘The Spy Chronicles: RAW, ISI and the Illusion of Peace’, is authored by Durrani, former R&AW chief A.S Dulat and journalist Aditya Sinha. Durrani had served as ISI chief from 1990 to 1992. The book, styled as a conversation between two spymasters, covers a wide range of subjects like Kashmir issue, Kargil war, and several thorny issues between India and Pakistan including Kulbhushan Jadhav. The book was launched on Thursday in India. Durrani missed the event as he did not get an Indian visa. SAMAA’s Islamabad bureau chief Khalid Azeem said that disciplinary action could be taken against Lt Gen (retired) Durrani, if he fails to explain his position. Defence analyst AVM Shahid Latif said Gen Durrani has served as the head of ISI and he should have exercised caution before discussing sensitive matters in his book. Defence analyst Brigadier Haris Nawaz said Gen Durrani should have sent his book’s draft to the GHQ for approval. “All the serving and retired officials are bound to follow the official secret act,” the retired army officer said.